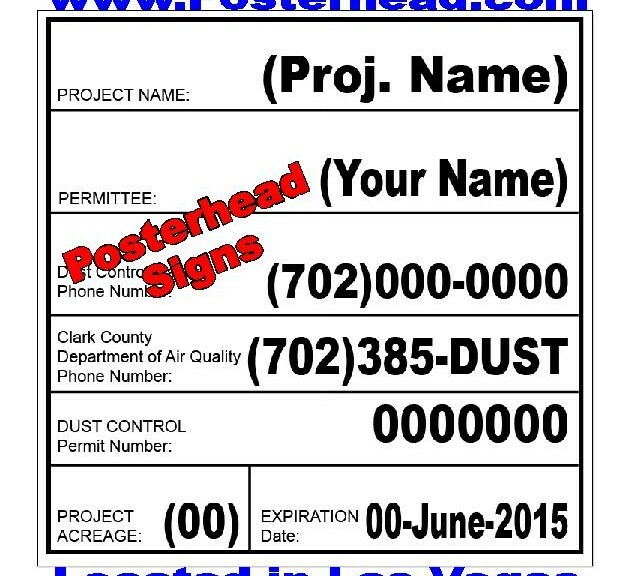 March 29, 2016 Robert W.
Las Vegas 1/2 foam board prints are used by professionals to display certain graphics at an affordable price. These sturdy boards are used for business presentations, conventions and trade shows, schools and all sorts of other events when inexpensive, but yet professional signage is needed. Foam core boards are made up of 3 layers, “It consists of three layers – an inner layer of polystyrene foam clad with outer facing of either a white claycoated paper or a brown kraft paper. ” as defined by Wikipedia at https://en.wikipedia.org/wiki/Foamcore. Sign shops will then directly print onto the foam core board directly or print on a vinyl substrate and then apply it to the foam core board and then laminate it to offer a very nice looking finished project. The standard sizes for foam core boards are 1/8″,3/16″ and 1/2 thicknesses. These different thickness foam core boards offer many different applications. Las Vegas 1/2 foam board prints are very popular at trade shows and convention held in Las Vegas. Since foam core can be damaged quite easily while in transport, many displayers at conventions and trade shows prefer to have their foam core boards printed in Las Vegas to avoid damage. Unless properly wrapped for transport, it is quite easy to damage the corners of the foam core boards while moving them around. Las Vegas 1/2 foam board prints offer a great low cost sign that works well for trade shows and conventions as a prop in the background for display. Foam board prints are also used at schools for decorations and signage for events like prom night, graduations, and award ceremonies. These are one usage type of signs that are meant for specific purposes. These signs are also not expensive, with the average cost of a 3/26 foam board print at around $4.00 a square foot and a 1/2 thick foam board print at around $6.00 a square foot. So a simple 2ft x 3ft foam board print in 3/16 would cost around $24.00 and cost around $36 in a 1/2 thick foam board. March 27, 2016 Robert W.
Las Vegas press walls are knows by many different names such as step and repeat banners, media walls, background banners and a host of other names. The idea is all the same, a large background banner that acts as a visual reinforcement to a message you are trying to convey. Las Vegas press walls are found in many different venues in Las Vegas . Many night clubs are using step and repeat banners as a way to get marketing exposure with there patrons. Tourists love to take pictures of themselves while in Las Vegas and especially at night clubs so that they can be taken home as a souvenir. By allowing customers to take photos in a specially sectioned off area of the club, they do not infringe upon the rights of others having a good time. The customers can take their photos against a background banner with the club’s name repeated over and over again on the banner so that it can be seen in the photo from any angle the photograph is taken. Las Vegas press walls are also gaining popularity at home parties where someone is celebrating a birthday or graduation. The persons name and other pertinent information is printed on the banner and people take pictures against a themed background. Many birthday celebrations are being shared with this type of prop. Las Vegas press walls are not very expensive. The average cost of a press wall is about $2.00 a square foot for a background banner that will have the banner reinforced at the perimeter and also will come with grommets so that the banner can be hung very easily. These Las Vegas press walls are full color, meaning you can have as many colors as you want on the banner, including pictures and logos. Las Vegas press walls can be found at various sign shops in the Las Vegas area. March 25, 2016 Robert W.
Banners Las Vegas for businesses are a great idea to improve the profitability of your business and also to get your business noticed. Banners Las Vegas use vinyl banner signs to attract attention to your business in a low cost solution to advertising. Businesses are learning in Las Vegas that advertising is expensive in the down economy. Mailings, newspaper advertising, radio and television advertising are very expensive and not bringing the desired results as they once did. Partially to blame is the increasing rise of the popularity of the internet and the increasing time spent surfing the internet. Sometimes, good old fashion advertising brings the results you want for a lot less than the marketing methods mentioned. Banners Las Vegas are vinyl banners that businesses and stores in Las Vegas are using to attract attention to there business. The stores use these low cost banners inside as well as outside their businesses. A well placed banner at a store location can be seen by thousands of people every week as they drive by on the busy streets of Las Vegas or travel by some other method. These banners market the businesses products and services in a very inexpensive way. A average cost of a vinyl banner in Las Vegas is about $2.00 a square foot, so a large 4ft x 10ft banner costs around $80.00. This would include a full color banner that contains grommets so that the banner can be hung very easily. These banners are printed with large format printers that allow for pictures and logos to be printed on them as well with amazing definition. Banners Las Vegas can be purchased at a variety of sign shops in the Las Vegas area at great prices and they are a great way to increase business and get attention for your business. March 17, 2016 Robert W.
Las Vegas 89109 cheap banners allow for you to get a quality banner at a fair price in Las Vegas. While many sign shops take advantage of tourists and people attending convention and trade shows, many sign shops allow for Las Vegas 89109 cheap banners that can be made quickly and with quality. Many people come to Las Vegas for trade shows and conventions to help their business and get themselves introduced to new customers and suppliers. Unfortunately, many times the graphics and banners they anticipate to have ready for display are not ready. Consequently, they are in need of banners and graphics at very quick notice. Las Vegas 89109 cheap banners are a solution to those problems. Las Vegas 89109 cheap banners are not expensive. The average cost is about $2.00 a square foot and are printed on state of the art large format printers at amazing speeds, consequently the low cost of the cost of the banners. These banners are printed with state of the art inks that allow for bright colors that will not fade even in the hot sun of Las Vegas. These banners also come with grommets so that they can be installed easily. 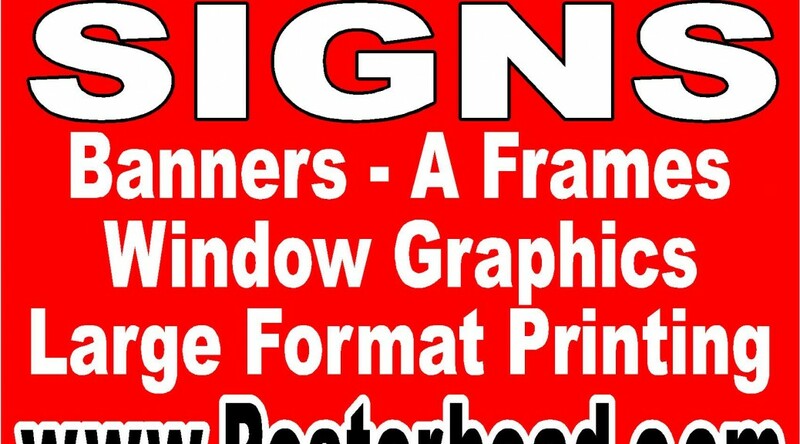 To expedite the printing of the vinyl banners, it would be quite helpful to have the design file ready for the sign shop to print. Cheap banners are very popular at trade shows and conventions because they are the number one graphic on display at the shows. They are low cost and offer a easy way to help assist in the implementation of your display and presentation. Low cost banners can be found at many sign shops in the Las Vegas area because of the amount of sign shops that are available to help trade shows and convention. Contact one of these local sign shops to help you in your last minute graphics so that the show can go on. March 13, 2016 Robert W.
Clark County Nevada outdoor banners are used all over the Clark County area, especially in Las Vegas. These outdoor banners have many uses and are used in a variety of ways. Clark County Nevada outdoor banners are designed to last in the Southern Nevada outdoor weather. The weather is very different in Clark County than other areas. While we do not generally get a lot of snow and rain, we are the recipients of extreme heat, dust and wind. These Clark County Nevada outdoor banners need to be tough and durable and be able to handle the excess heat that the summer months offer. Outdoor vinyl banners are made with a 13 ounce banner material and then printed with eco solvent or latex inks that are specifically designed for outdoor use so that they will not fade in the intense sunlight of Southern Nevada. In addition, these banners are reinforced at the perimeter through a process called hemming and have grommets placed on the banner every few feet so that they are easy to hang. The outdoor banners can be full color, meaning that you can have as many colors on the banner as you want, including pictures and logos. These outdoor banners cost about two dollars a square foot and many times, sign shops will have them on sale. In addition to vinyl banners, mesh banners are sometimes used so that the wind can pass through them instead of putting pressure on the banners and having the grommets damaged. The mesh banners are especially useful when the banner is hung in the air between poles and trees and have no backing. Clark County Nevada outdoor banners can be found online and at local sign shops in the Las Vegas area. March 7, 2016 Robert W.
Vegas 89107 discount banners are being used by all sorts of different entities in the Las Vegas area. Many educational institutions , stores, government agencies, and special events use Vegas 89107 discount banners as a way of promoting their events or business. Vegas 89107 banners are used by schools in Clark County to promote football games, baseball games, softball games, basketball games, specials events and all sorts of other events that are promoted by the school. In addition, many sponsors of sports teams place vinyl banners on the fences around the sorts facility to get acknowledged for their support. Clark County uses vinyl banners as a way to promote cultural events and other events sponsored by the government. For parades, Clark County gov’t will place several banners on the parade route and also for events such as Fourth of July and Martin Luther King Day. Las Vegas businesses are a major support of Vegas 89107 discount banners because they are so easy to install and act as a wonderful way to advertise to the public. A vinyl banner at discount pricing is about $2.00 a square foot, so a 4ft x 10ft vinyl banner ( that can be seen from hundreds of feet away) can be had for as little as $80.00 and will last longer than a year, even in the hot summer months that Las Vegas has. These discount banners are then hung at the business location so that all the passing people and vehicles can take notice of the banner and the advertising message that it offers. The banners can then be rotated so that the marketing message is always changing. 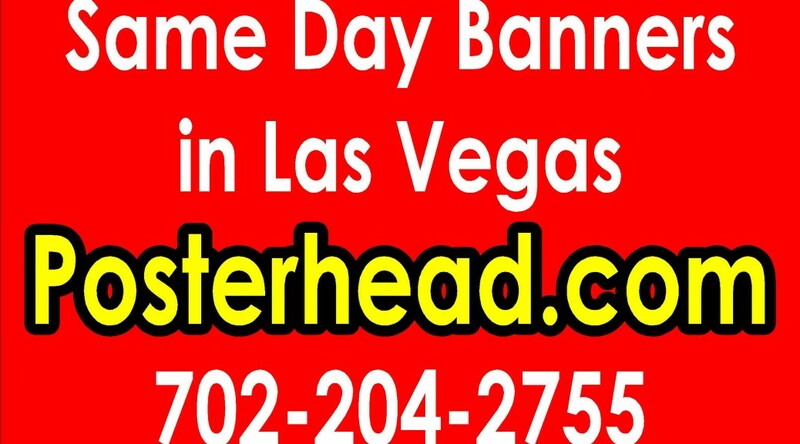 Vegas discount 89107 banners are available in the Las Vegas area at your favorite sign shop. Take advantage of this low cost advertising and get your discount vinyl banner today to improve your business profitability. March 3, 2016 Robert W.
Step and repeat banner stands are available for night clubs, parties, birthday parties, and other special events. Step and repeat banner stands are very popular because they allow for a person to have a picture taken against a background that will remind them of the event. Since Las Vegas is a tourist city, many people want to take souvenir photos of themselves against a backdrop that will remind them that they were in beautiful Las Vegas. What are step and repeat banner stands ? They are basically a vinyl 13 ounce banner material in a matte finish ( which allows for photos to be taken without the flash reflecting off the material) that have a pattern of logos / texts/ pictures placed on them so that from any angle, a picture can be taken of a person and the logos/pictures/text will be visible in the background of the photo. Many night clubs use this type of background banners so that tourists can take pictures of themselves and show themselves off at various nightclubs and places. Step and repeat banner stands are also very popular at birthday parties. The birthday person puts their picture on the banner and other types of things that are fun and people take pictures of themselves as a reminder of the party. Many times, a step and repeat banner stand is brought in so that the banner can be hung very easily on an adjustable stand that holds the banner. These adjustable tube stands come with a portable carrying case and very easy to set up and are a minimal cost. A step and repeat banner stand costs around $60 and the step and repeat banner itself goes in the neighborhood of about $2.00 a square foot for a full color banner. these banners and stands can be found at local sign shops in the Las Vegas area.